ProofHub acts as an adaptive base, where the whole corporation threads its internal and external communications and where we are able to reflect ourselves. Four years ago, with a vision of improving human-centered communications, we started a small bi-monthly magazine for a recently created business park thriving at Chile's capital. 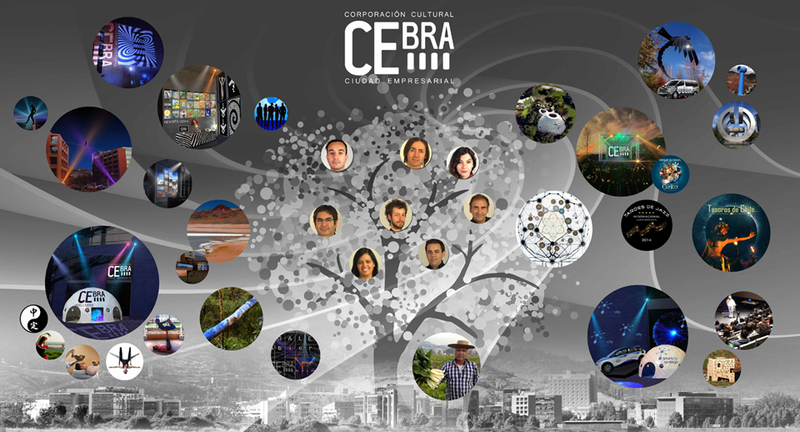 Three years later, we grew into a cultural corporation, Corporación A Pasos de CEbra, whose sole focus is on human and cultural possibilities to create identity, sense of belongingness and local culture. We have grown our team with our own efforts gathering talent and technical resources, including the financial search to support our ever increasing number of projects, crucial to achieve our mission. Nowadays, we are a diverse core group of 10 people interacting with project-based staff & counselors, and so we are shaped to change. At the onset, we had to figure how to coordinate different actors, sometimes at different locations. In most of the cases, we needed to retrieve our various inputs at a common place, so that everyone in the team gets access. Naturally, differing "project-related" groups sprout. No doubt it helped, but still added to our corporation’s complexity. We also felt the pressing need to handle multiple emails, and hopped on a theme-based online communication system. So those communicating could easily find the info or add to it, regardless of their divergent timing or the multitude of tasks they were involved with. Some project ideas were great and ran smoothly from the start. Others, travelled longer or got derived into unexpected paths. Some projects were archived and a few got restarted later. We realized, we better remain open to readapt our already flexible organization. On the path to choose a platform, ProofHub started to shine among all the candidates, particularly because of its native Gantt charts, together with its capacity to articulate complex tasks and to provide a structured file retrieval system, all tied with a potent theme-based discussion forum, that is assisted by a chat & group-chat channel. Simply there are NO contestants to this software, and so here we are. During the implementation process, we made an early distinction - that runs across our whole ProofHub platform - between Discussions and To-Do’s tabs, locating the issues yet to be decided at the former tab, and those already defined (with definite dates) are placed at the To-Do tabs. This distinction eased ProofHub’s adoption by clarifying between discussion and execution levels. Time and again, we are gladly surprised that ProofHub team seemed to be on our same frequency. Then, we equated our corporation areas with ProofHub’s main menu categories and consequently placed all of our projects inside two categories (named Agenda and Projects). For the rest of categories, we gave space for our internal functions to come aboard, and hence be transparent to the team. Therefore, placing Alliances, Applications, Intranet (Accountancy, Organization, etc. ), and the rest of the organizational areas in their own categories. Inside these categories, we use the “Projects” tab as "Sections" to manage important functions like MediaLab, Social Media and Website management, etc. In a nutshell, we have transformed ProofHub into an adaptive base, where the whole corporation threads its internal and external communications and where we are able to reflect ourselves upon. It’s everything we hoped for! This builds our confidence in our growth, together. One of the best websites to shop and design your own custom t-shirts for school, colleges, sports teams.